Hoa My Hoi An Hotel (2-star) is located at an ideal position in Hoi An city center – one of the famous areas of city. It is merely distant the city center about 0,1 km so you are able to come airport within 30 minutes. 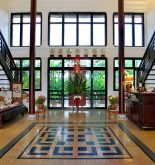 The hotel is quite near to the interesting attractions: Phac Hat pagoda, Tran Gia cathedral, Hoi An hospital. 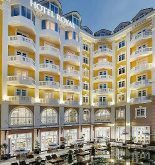 Hoa My Hotel brings perfect services and wonderful luxurious facilities so it can satisfy even the most demanding tourists. Hotel also provides a wide range of services such as bicycle rental, coffee shop, restaurant, laundry service/ dry cleaning and travel services. In addition, all of living rooms are special equipped facilities such as non-smoking room, cable television, mini bar, fan, television to satisfy all of tourists. Besides, hotel also suggests entertainment activities so that tourists always feel exciting during their holiday. In spite of any reasons for coming Hoi An, Hoa My Hotel will be the perfect choice for you. +Hoa My 1 Hotel: 201 Ly Thuong Kiet St, Hoi An, Quang Nam, Vietnam. +Hoa My 2 Hotel: 44 Tran Cao Van St, Hoi An, Quang Nam, Vietnam. This information has been supplied by Hoa My Hoi An Hotel.